Makeup tutorial videos are popular on YouTube, since every girl wants some tips to present a polished look. 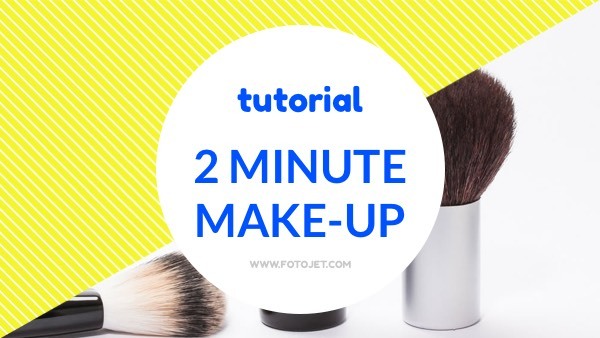 If you are a YouTuber keen on sharing some makeup tutorial videos, then use this YouTube thumbnail template to customize a preview image. Your video may be helpful with some good tips. But the first thing you need to do is to convince the viewers that your video is worth clicking with an attractive YouTube thumbnail. Now go to make your engaging thumbnail designs.